I'm glad your here! Learning about a business before you purchase a product from them can be very meaningful. 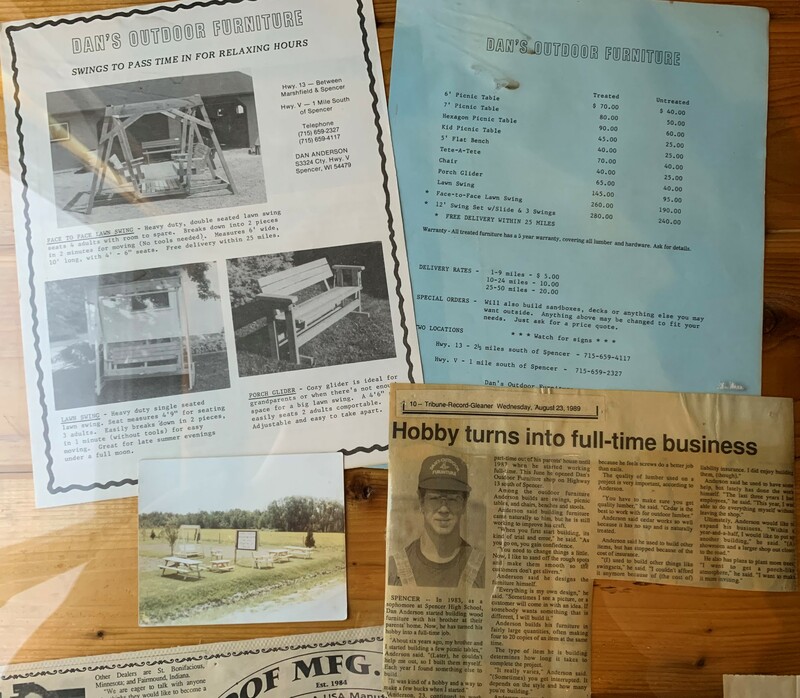 Our family business began in 1984 when Dan began building picnic tables and began selling on State Highway 13 and Country Road V in Spencer WI. 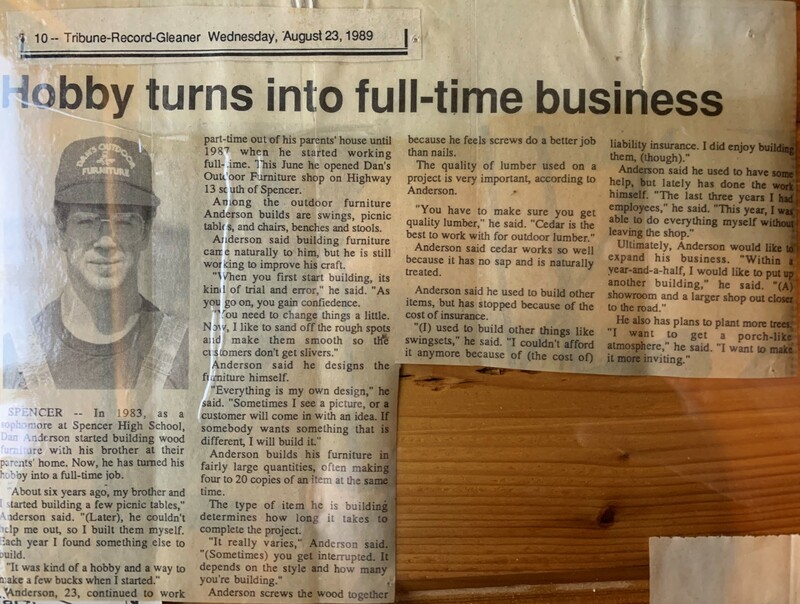 In less than three years it had become a full-time business and using his parents garage was no longer large enough. 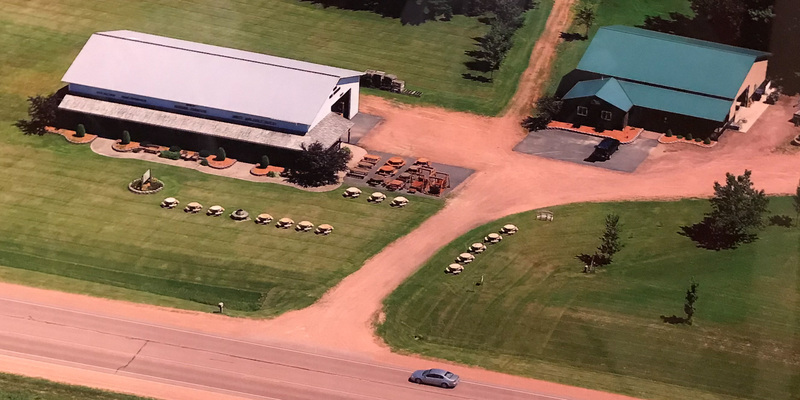 In 1989 land was purchased at our current location on Highway 13 between Spencer and Marshfield and a shop was built. The following year a 5000 square foot warehouse was built. 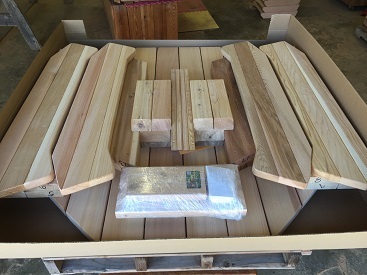 At that time all our products were built in Pressure Treated Pine, and also in Western Red Cedar. Then in 1994 we discontinued using pine and focused just on building with Western Red Cdar. In the years to come a dealer network grew to include our products being sold all through the Midwest states. 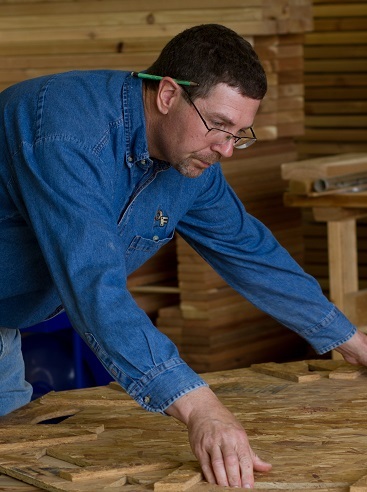 In 2007 we built a new shop and office building with an additional 3500 square feet. This building is heated with an outdoor wood furnace by heating water and passing it through the floor. We now use all our wood scrap to help to heat this water. 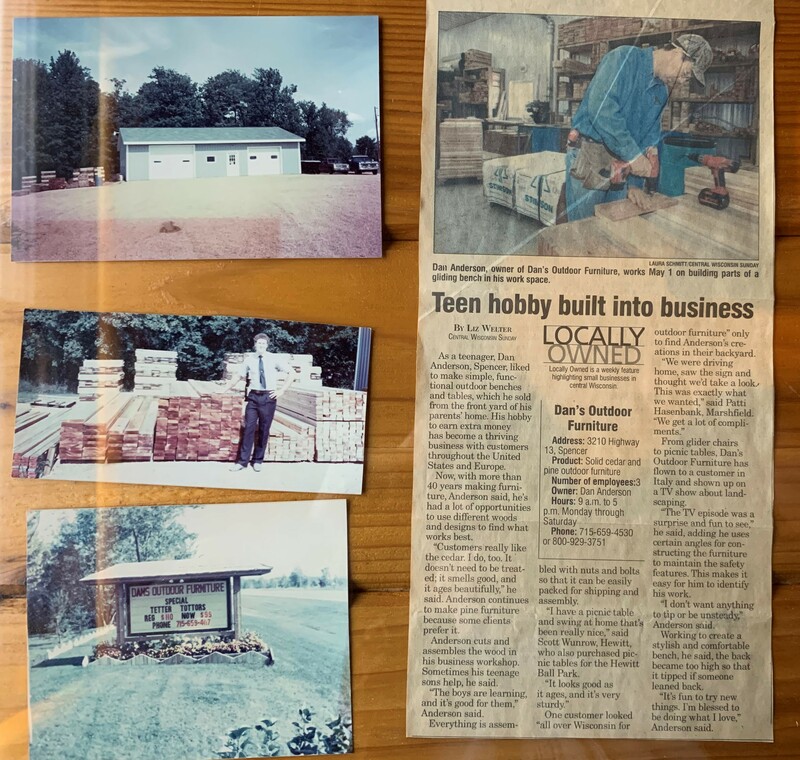 Our new office provided needed space and the shop was large enough to hold most of our lumber all the way to completion of products to be sold. 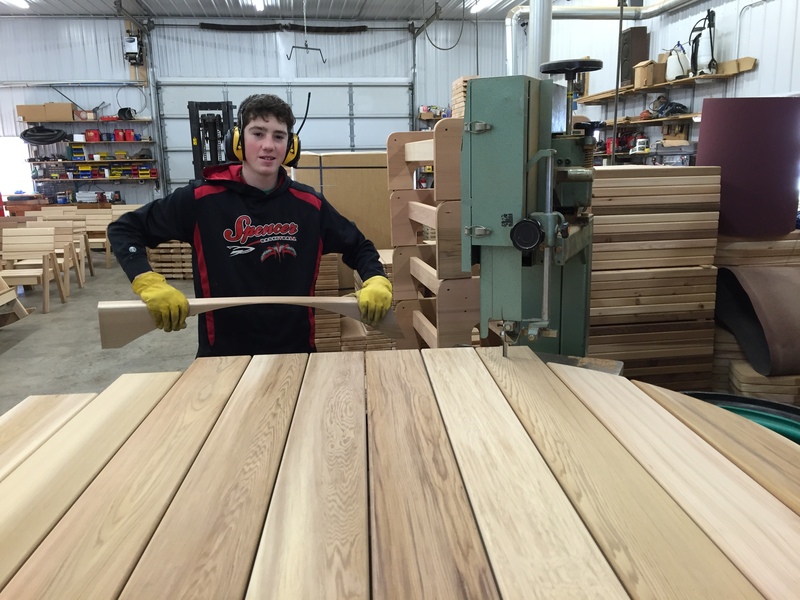 We added a dust collection system, wide-belt sander, joiner and other sanding equipment in the years to follow. 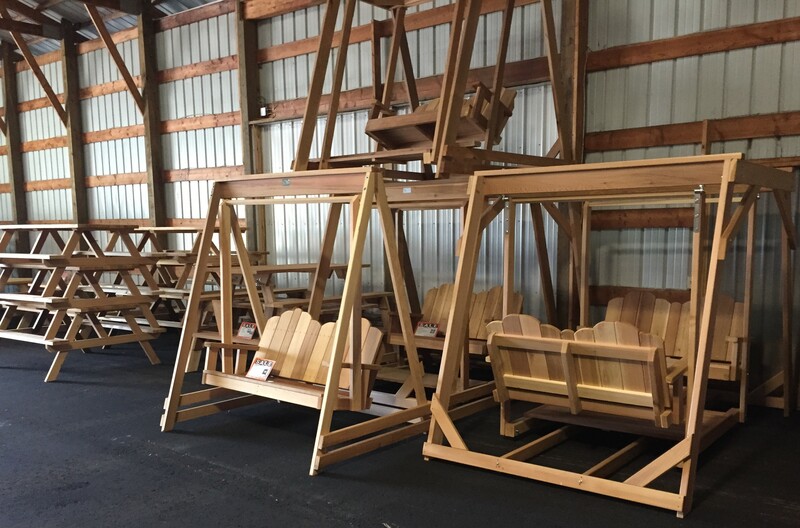 In the slow years of the great-recession we retooled and started a new line of patio furniture that we call the Ozark Collection. It features contoured seats and a higher back. It is now our best seller. In the early years of the internet we published our first website and started to sell our products online. 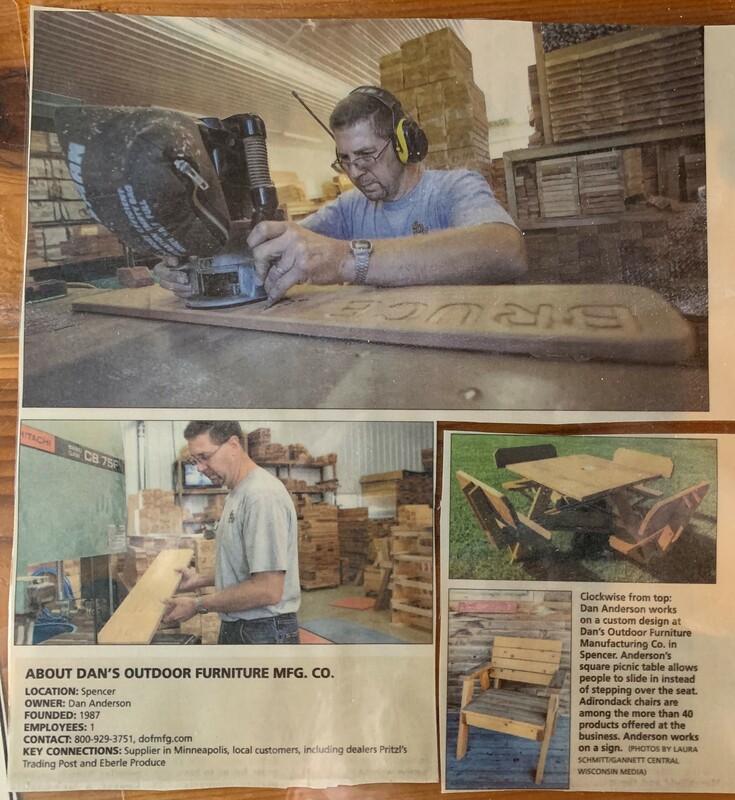 In 1998 we sold our first picnic table to a customer in California and within 4 more years online sales were 42% of our annual sales. Last year our online sales surpassed all other years and were 52% or our total yearly sales. We have shipped to 48 different states and to Canada and Italy. Shown is #M61OT our 61" Octagon Picnic Table and how it is packaged for you. Every piece is sanded and all edges are rounded over for a nice smooth finish. Shown above are online orders ready for shipping. 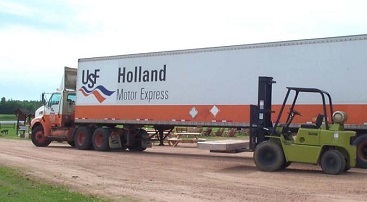 We use many freight company's to deliver your order. 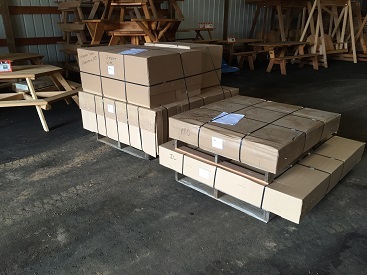 All large items are shipped on pallets and are well protected for the journey to you. 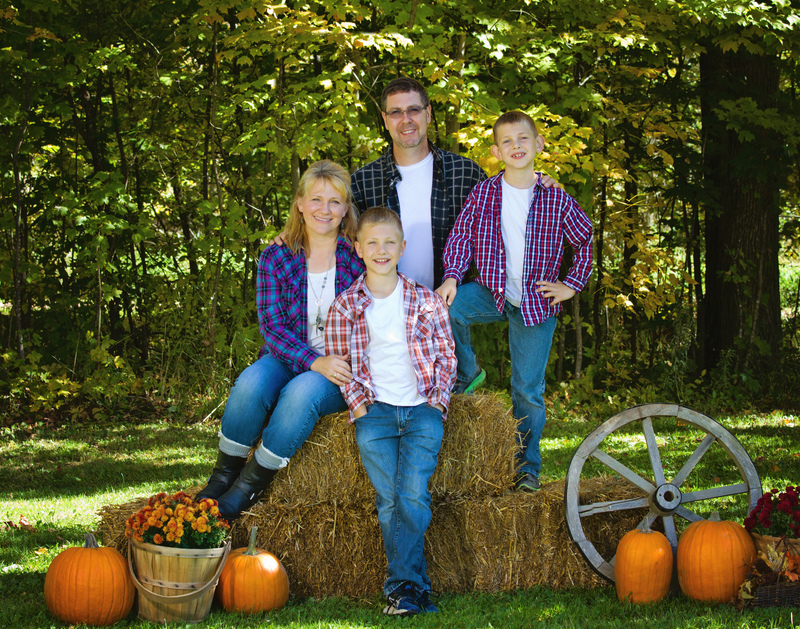 Everyone in our family helps in some way to make a true "family business". We start young with age appropriate jobs. Sweeping leads to jobs with more responsibility. We are teaching our boys responsibility and the value of work, use of their God given talents and understanding how to make money and the spending of it. 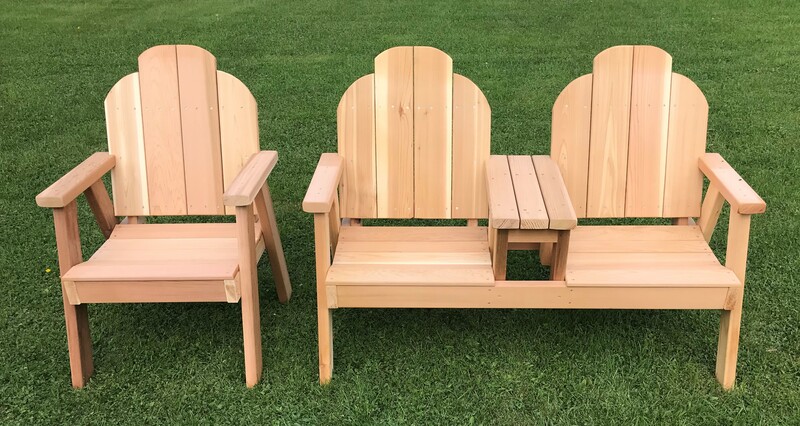 We hope you decide to make a purchase from us and in turn we will give you a well-made product that will be a part of your yard for many, many years!